With ProfitBoard from SlickAccount, now you can budget quickly. Whether its a monthly budget, annual budget or budgets like project-based or customer-industry-based budget. Quick and simple. Now prepare the budget for your monthly expenditure and target income with ProfitBoard’s budgeting tools. 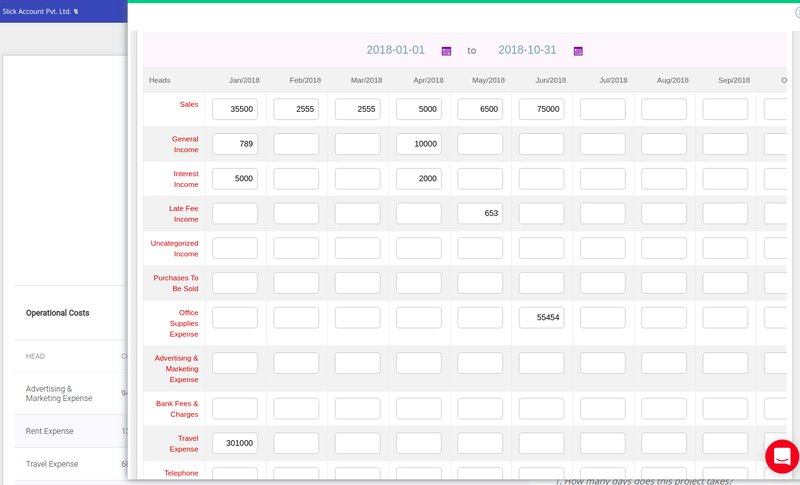 Put ProfitBoard to work by creating a timeline for a year and create your yearly budget according to your expense cycle. Use the modified search feature to find and create a customized budget based on specific areas/elements of your business. This feature allows you to monitor and create a budget on a detailed level. Ex. Create a budget for marketing on Facebook. Make allowance for the various shifts within a budget cycle by creating smaller budget pockets according to your need within your larger budget. This feature gives you unprecedented flexibility and control over your budget. Do much better budgeting today.